The new year is around the corner. If your resolution for 2015 is to be more productive, there are some good tools available to help. Here is a list of tools to get things done in 2015. There are to-do lists, calendars, notebooks, communication organizers, and game apps to make you more productive. There are dedicated mobile apps and multi-platform apps. Some of these apps are new, while others are established tools. Timeful is a calendar and to-do list with intelligent assistance to make the most of your time. 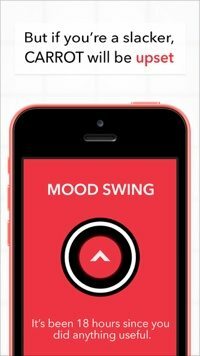 It uses sophisticated algorithms to suggest the best times to schedule tasks and habits throughout the day, based on your available time, location, and most productive hours of the day. Timeful learns from your behaviors, adapts to your schedule, and personalizes the recommendations the more you use it. Available on iOS. Price: Free. 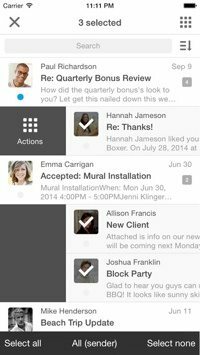 Boxer is a mobile app that combines email with task lists, scheduling and more. Swipe messages to a to-do list, swipe calendar invites to accept or decline right from your inbox. Integrates with Gmail, Outlook, iCloud, Yahoo, Hotmail, IMAP, AOL, Evernote, Dropbox and more. See whom your email is from with the addition of profile images from Facebook and LinkedIn. Tap on profile photos for information, including links to social profile, phone numbers & even recent messages. Available on iOS and Android. Price: $4.99. Wunderlist is a to-do list manager. 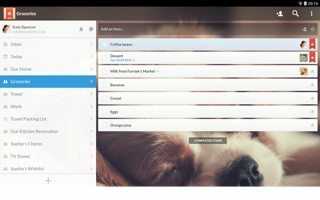 Create all the lists you need and access them from your phone, tablet and computer. Easily share lists and collaborate with family, friends, and colleagues. Start conversations about your to-dos, share the work and delegate to-dos. Set reminders for important events and deadlines. 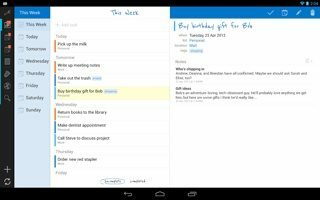 Wunderlist instantly syncs between your phone, tablet and computer. Price: Free to download and use. Pro plan is $4.99 per month. 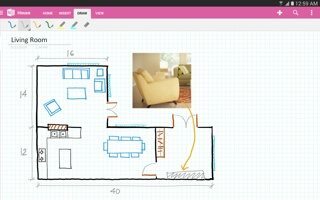 OneNote is Microsoft’s digital notebook for to-do lists, notes, plans, and anything you want to remember. Type or jot down notes, record audio or snap a picture and OneNote saves it. Your notes sync across your devices so you can access them wherever you go. And you can easily share your notes with others. Available for PC, Mac, Windows Phone, iPhone, iPad, and Android devices. Price: Free. 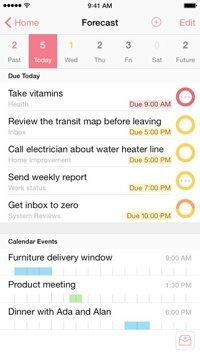 Todoist is a full to-do list suite to manage your tasks, online and offline. It features sub-tasks and sub-projects, notifications and reminders, multiple priorities, recurring dates, labels and filters, and collaboration tools. With apps and extensions for 13 platforms, your tasks are always there, on mobile devices, browsers, mailboxes, and more. Price: Basic account is free. Premium plan is $29 per year. 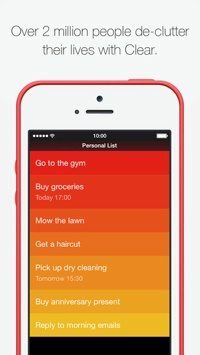 Any.do is another comprehensive to-do list application with lots of features. Use Any.do Moment to quickly plan your day every morning. Sync your tasks from your mobile to your home computer. Share your tasks with peers and get some teamwork going. Features comments, notes, reminders, recurring tasks, and more. Any.do works with Cal, so you can see your tasks right inside your calendar. Price: Basic account is free. Premium plan is $26.99 per year. Carrot is a to-do list with personality. You keep this sadistic AI construct happy by getting things done in real life, then she’ll reward you. Thirty-six dastardly challenges to complete. But be careful, slackers make Carrot upset. Carrot has thirty-six dastardly challenges to complete and over 500 unique rewards that vary depending on Carrot’s mood. Available for iOS. Price: $2.99. OmniFocus is a task management platform for Mac, iPad, and iPhone. Start a workflow you know, like the Getting Things Done system by David Allen, or craft your own from the ground up. Pro users can create custom views on both Mac and iPad — filter out contexts, projects, or folders, and add sorting options for lists you need to access often. 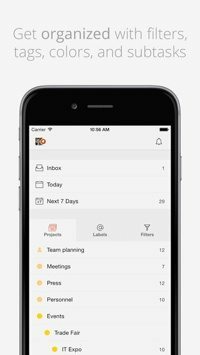 OmniFocus includes many features, including quick entry, location awareness, and Siri capture. Price: Standard is $39.99; Pro is $79.99; iPad app is $29.99 and iPhone app is $19.99. 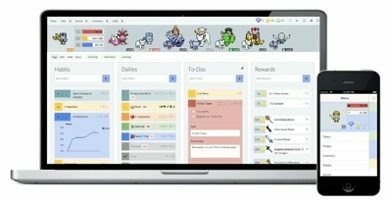 HabitRPG is a productivity game for your to-do list. By rewarding you for your successes and penalizing you for slip-ups, HabitRPG provides external motivation for completing your day-to-day activities. Whenever you reinforce a positive habit, complete a daily task, or take care of an old to-do, HabitRPG immediately rewards you with experience points and gold. As you gain experience, you can level up, increasing your stats and unlocking more features, like classes and pets. Available on iOS and Android. Price: Free. 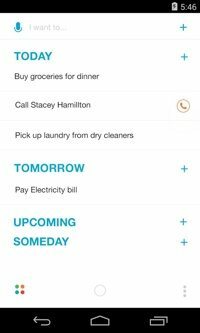 Clear is a to-do and reminders app with a focus on its simple, gesture-based design. Clear has a clutter-free interface that makes it easy to stay organized. Personalize your Clear lists with themes and make them your own. Available on iPhone, iPad and Mac. 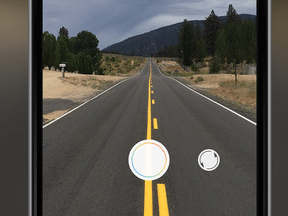 Price: $4.99 for iOS. $9.99 for Mac. Remember The Milk on Android. Buffer is a tool to manage multiple social media accounts at once. Use Buffer to schedule content from anywhere on the web, collaborate with team members, and analyze rich statistics on how your posts perform. 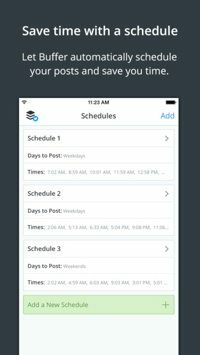 Buffer enables you to schedule tasks and get things done on social media. Price: Individual account is free. Business plans start at $50 per month for 5 team members. 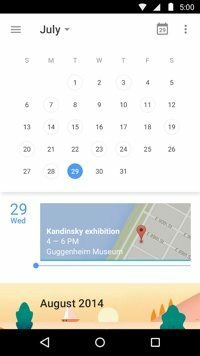 This is the official Google Calendar app for Android to save time and get things done. Quickly create events with smart suggestions for event titles, places and people. It features multiple views of your day, week and month, guest invites, calendar on the web and more. Your events are stored online, so you won’t lose your schedule if you lose your phone. Available for Android. Price: Free.